Now is the time to enjoy the best that life has to offer without the daily demands of home maintenance. Choose from one, two or three bedroom architect-designed award-winning villas or apartments within our vibrant and active communities and resort-style facilities. 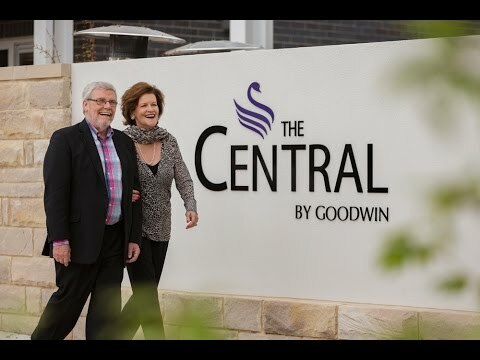 When you choose Goodwin’s award-winning lifestyle villages, you’re choosing an exceptional quality of life. Our beautifully appointed one, two and three bedroom villas and apartments have been architecturally designed with luxury inclusions to create a relaxing haven. From here you can choose to entertain family and friends or simply enjoy the tranquillity of your own retreat. Each lifestyle village has an exclusive Lifestyle Club, an exciting social program and a dedicated Lifestyle Officer, to help you get the most out of your leisure time. Whether it’s participating in daily exercise classes, going on an excursion to the latest National Gallery exhibition or watching a movie with friends, you have the facilities, support and independence to do as much or as little as you like. In our villages you know you always have friends and support close by. Best of all, our award-winning villages have been designed with your future needs in mind. As one of our lifestyle village residents, you’ll have exclusive access to our unique Wellness Centre – staffed by medical and allied health specialists committed to helping you achieve your best quality of life. In addition, each villa and apartment includes an electronic 24-hour call system for support at the press of a button (on non-000 emergencies). They are also built to adapt to your changing mobility needs, ensuring that your home remains a haven of comfort for many years to come. And as a resident, you’ll also have access to in-home care services, to allow you to keep doing the things you love. I’ve lived at Goodwin for seven and a half years now and I wouldn’t change a thing. We are very grateful for all the wonderful amenities and caring support offered here at Goodwin. Located in the cosmopolitan heart of Canberra, some of our city’s most exciting attractions, dining and entertainment options are just a walk, short drive or bus trip away. Located in the heart of Crace’s urban precinct, our stunning apartments, townhouses and penthouses have everything right on your doorstep. Nestled in the heart of Woden Valley, the tranquil haven of our Farrer lifestyle village is surrounded by leafy trees and beautiful gardens—the perfect vantage point to enjoy the good life.